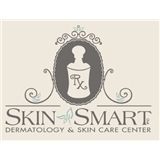 Skin Smart Dermatology (New Britain) - Book Appointment Online! When you have dermatology needs, you want to turn to professionals who listen and respond. An experienced provider who knows the field and can effectively diagnose and treat your needs . Who counsels you on the best ways to maintain and improve your skin care health. Our providers meet all these criteria. Plus, you benefit from a dedicated team of trained professionals who give you the individualized attention you deserve. Skin Smart Dermatology believes that informed patients are better prepared to make decisions regarding their health and well being. That is why we've included extensive sections on this web site covering the full array of topics associated with enhancing the appearance of your skin. We encourage you to look through these pages whenever you have an interest or concern about your skin care needs and care. She was worth the wait!! Dr. Mastromonaco was quick and thorough. She is very professional and when taking samples for lab tests made it quick and painless for me.